I created this card for my friend Christy and her family at Runaway Art and Craft Studio in Salem. The shop has been open for one year now! It is such a great place for classes and supplies, and it is home to a creative community in the Willamette Valley. So I enjoyed making this card and delivering it to her Sunday. Thanks for stopping by! This was a fun card with lots of different media at work. 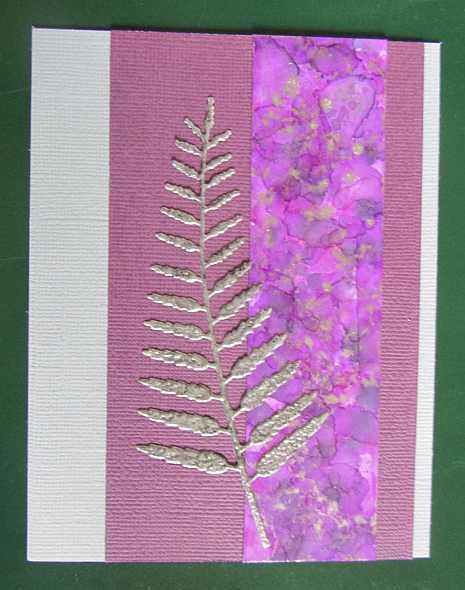 I started out making the background with inspiration from the latest Online Card Classes class: Stenciled. I mixed a few drops of alcohol ink with some modeling paste to make a nice light blue. I then smeared it through my new (gorgeous) stencil from Memory Box. For the butterflies, I scribbled some Gelatos in blue and green on some watercolor paper and spritzed the color with some water to blend the colors together. 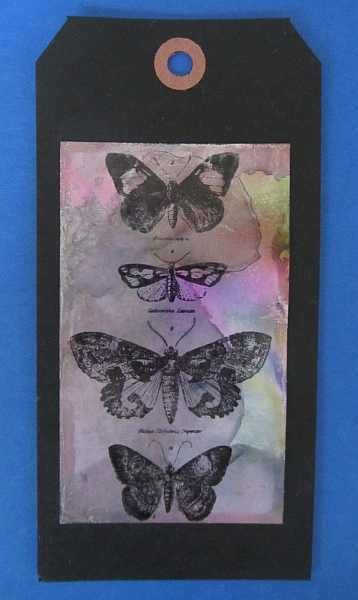 Once the Gelatos had dried, I die cut the butterflies and the accompanying detailed butterflies from solid cardstock and glued them together. 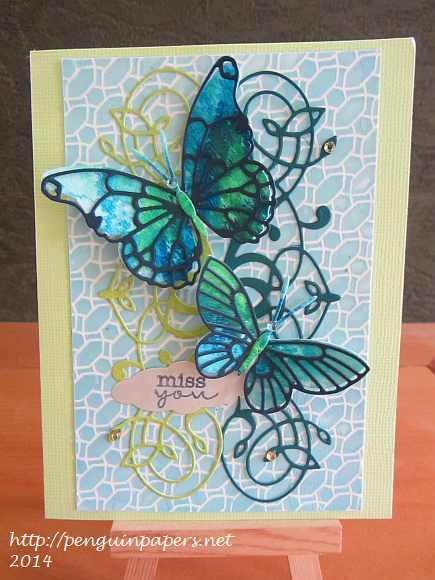 I added the flourish die cuts to the background and then placed the butterflies and the sentiment on top and applied rhinestones to the flourishes and heads of the butterflies. 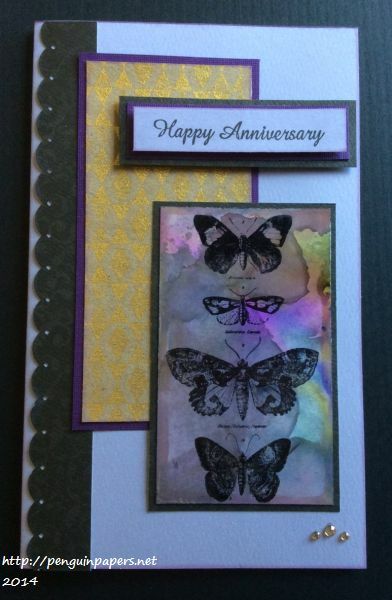 Lots of texture on this card! Thanks for visiting. This was an incredibly well timed challenge! I was in the middle of playing with this packing tape technique when 365 Cards issued its Tape It Challenge! My stamping group was experimenting with this technique, which was featured in Craft Stamper magazine (October 2012 issue, pp. 38-39). We applied packing tape to an old dictionary page, ripping off small pieces and then taped the whole thing down to a piece of white cardstock. Then I applied Ranger alcohol inks to make a mottled, stone background. 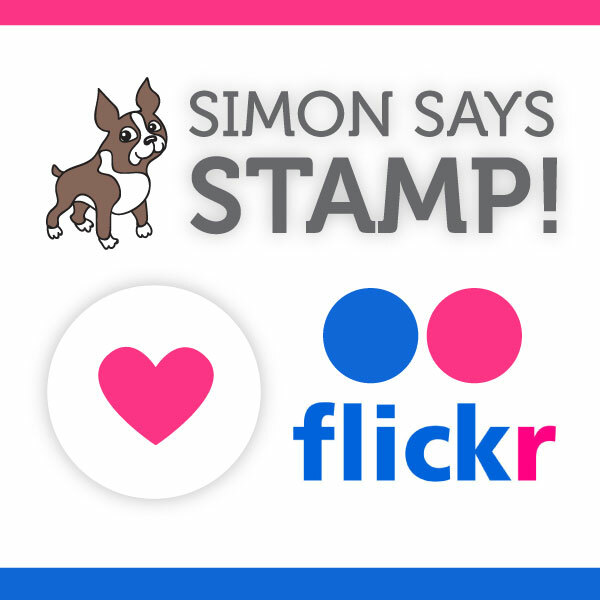 If you look very closely you can barely see the text mixed in with the background colors. The background is nice and shiny thanks to the tape. I then stamped the leaves in Distress ink on watercolor paper, spritzed with water and cut them out. 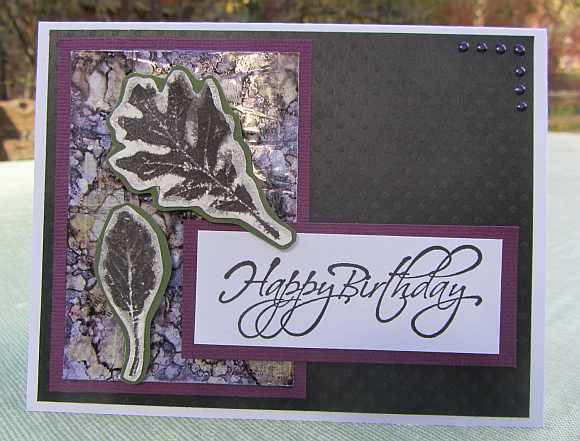 I mounted the leaves on cardstock and popped them up with dimensional adhesive and then added the sentiment. I added the “pearls” in the top right corner with pearl pen. Thanks for visiting today.